At least seven licensed Canadian cannabis producers have set up shop in Colombia, investing more than $100 million in the conflict-hit country that has become a new frontier in the legal marijuana business. Today, however, they're doing it legally. "We understand the pain of the war on drugs. That war was here," said Bibiana Rojas, managing director of Spectrum Cannabis Colombia, a subsidiary of Canopy Growth, one of Canada's largest marijuana firms. "For me, cannabis is a piece of hope," she said, as the country is "transforming something that caused so much pain in the past" when it financed illegal armed groups into "a crop that can bring health and wellness to Colombians." Like other Canadian companies in the country, Canopy's affiliate will be producing marijuana oils and other medical products rather than smokeable buds, which are still prohibited. Colombia legalized medicinal cannabis production and exports in 2015, but recreational use remains illegal. They're hoping to use it as a hub for cultivating and refining medical cannabis in order to eventually export across Latin America, a region with a population of 630 million. "I would be very cautious," said Robert Tetrault, a portfolio manager who tracks the cannabis sector for Canaccord Genuity Wealth Management in Winnipeg. "As a shareholder, do you want to find out your facility in Pablo Escobar's home turf just got seized or there are now tariffs, added costs or corruption?" 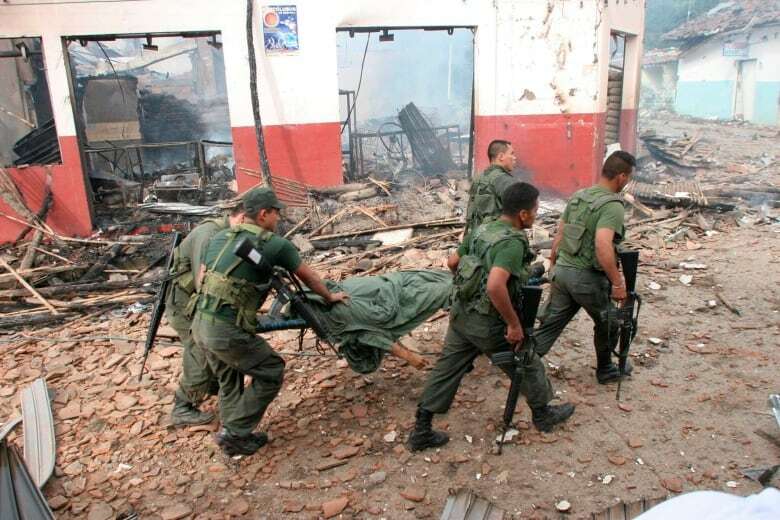 The government and the Revolutionary Armed Forces of Colombia (FARC), the country's largest leftist rebel group, signed a peace deal in 2016 although violence involving drug traffickers and armed groups still rages in parts of the country. More than 50 years of fighting left 7.4 million Colombians internally displaced, according to the UN's refugee agency. 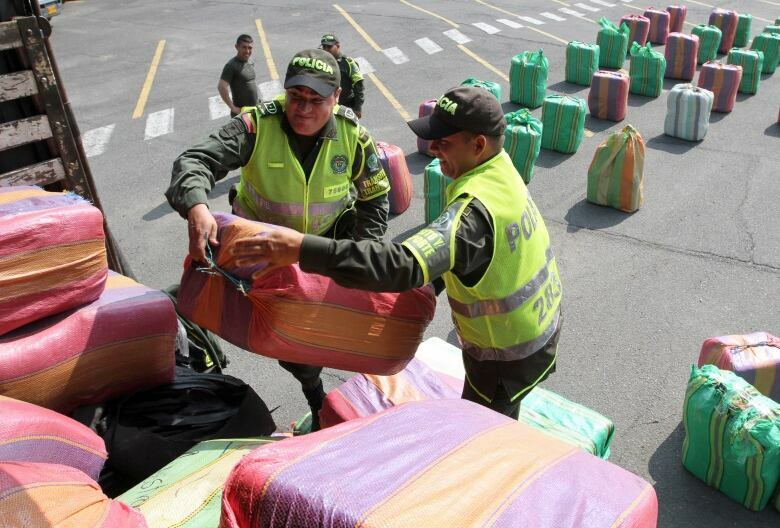 The U.S. has spent more than $10 billion US on military aid and drug eradication efforts in Colombia in the past two decades and Colombian authorities have spent tens of billions more fighting the war on drugs. The new government, led by conservative President Ivan Duque, has not yet spoken at length about the legal cannabis industry. But analysts don't expect the pro-business administration to dramatically shift its position on medical cannabis. 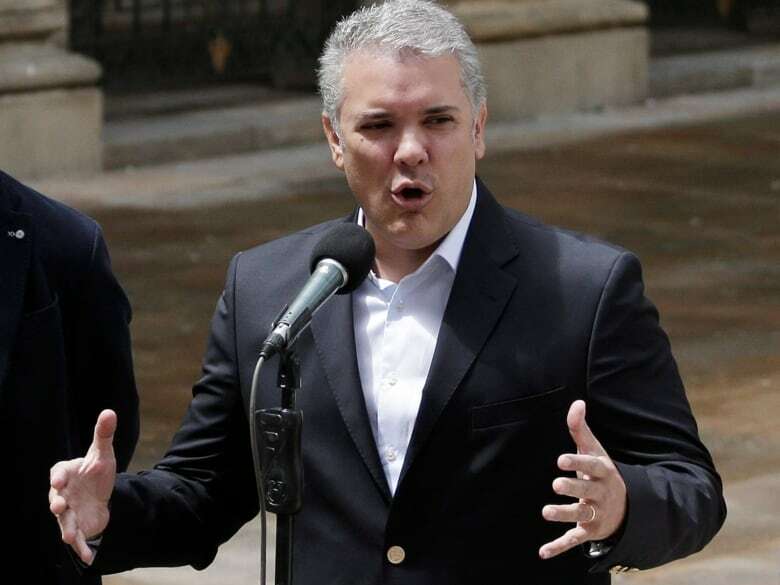 "It would be foolish [for Duque] to turn the other way when the rest of the world is moving forward with an economic boom," said Matt Karnes, managing partner of GreenWave Advisors, a New York-based investment firm. "There's a reason why we don't grow coconuts and bananas in warehouses in Mississauga," said Chris Naprawa, president of Khiron Life Sciences Corp., a medicinal cannabis company listed on the Toronto Stock Exchange with operations in Colombia. The company is already selling cannabis creams and beauty products because "Latin American women spend a fantastic amount on cosmetics," Naprawa said. Colombians with ailments including chronic pain, epilepsy, PTSD and sleep disorders will be able to ask doctors to prescribe cannabis. Naprawa expects Colombia's domestic market to include six million potential patients and hopes for tens of millions more in other Latin American countries and Europe who could be supplied from Khiron's base in Colombia. "We will be enjoying extraordinary margins if we charge based on what people are already spending," Naprawa said. Khiron's first prescriptions will be filled in early 2019. 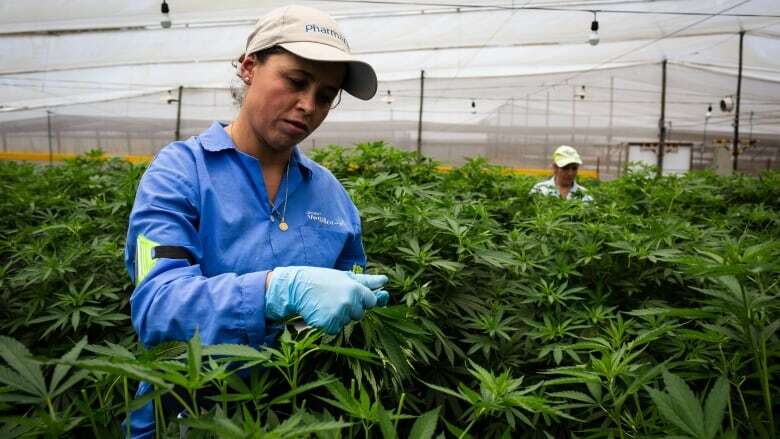 Companies that receive cannabis cultivation licences in Colombia must allocate at least 10 per cent of their production to small farmers, Indigenous people and other groups who have been particularly hard-hit by the country's drug violence. PharmaCielo, a Canadian-financed private company that says it has the largest cannabis production capacity in Colombia, runs its main operations near Medellin. It has also set up a special satellite operation in the Valle del Cauca, a remote jungle region on Colombia's Pacific Coast, under the licence system. Historically, it has been a "bad neighbourhood," affected by Colombia's internal violence, said PharmaCielo CEO Anthony Wile. "It's important for the government to see [the area] developed," said Wile, and the company is building greenhouses in the area and educating local workers on new agricultural techniques. PharmaCielo has invested about $40 million into Colombia and employs more than 150 local people, Wile said. The company expects to earn $70 million in 2019 and believes Colombia's cannabis market could eventually be worth as much as $2 billion annually. "Everyone, obviously, has watched Narcos on Netflix ... [but] the realities of this industry have nothing to do with Pablo Escobar or the drug cartels of the past," said Wile. "But it does make for interesting cocktail party conversations," said the Halifax native who received Colombian citizenship last month by order of a special presidential decree. 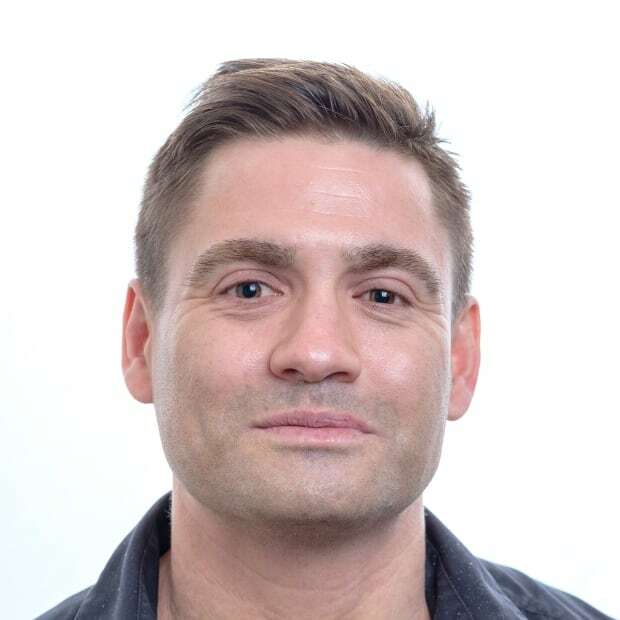 Chris Arsenault is a senior writer who joined CBC News in Toronto after a decade as a foreign correspondent with Al Jazeera and the Thomson Reuters Foundation in South America, Europe and the Middle East.